You are at:Home»India»Himachal Pradesh»Spiti Valley»How to make a trip to Spiti Valley in 6 days? Ever since Spiti Valley has emerged as a popular place, the need for making a trip to this middle land in a short number of days has become apparent. Almost every day I am asked for some plans about making a trip to Spiti Valley in 6 days or even 5 days in hand. It is not a mistake of someone who does not know anything about high altitude travel or how far this beautiful cold desert resides in Himachal. All thanks to the 1000s of beautiful, barren and breathtaking landscape pictures spread over Social media that lures them in making such optimistic plans. However, it does not work like that when it comes to travel to high altitude places like Spiti Valley or Ladakh. Download your FREE high-resolution version pdf copy of this infographic guide for a detailed plan of Spiti Valley in 6 days. If, you liked it and found it helpful, please feel free to share it with your family and friends to help them too. Why travel to Spiti from Manali? Can I make a trip to Spiti Valley in 6 days? Can I make a trip to Spiti Valley in 5 days? When you travel to places like Spiti Valley or Ladakh in the Himalayas, you have to consider many other aspects. It includes considering acclimatization, present road conditions, how are you traveling, who are you traveling with, ay present medical conditions, what are your expectations of stays, etc and the list goes on. One must consider that in remote places of Himalayas, things aren’t as readily available how they are in our cities. 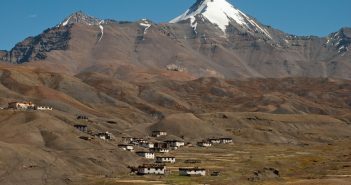 Keeping some of these things in mind, I will try to share an itinerary or a travel plan for making a trip to Spiti Valley in 6 days in this article. It will help those tourists who are in a hurry and interested to either ticking off Spiti Valley from their travel bucket list or interested in witnessing a glimpse of its majestic landscapes. You must note one thing that it takes at least three days to reach Spiti Valley from Kinnaur side and at least two days from Manali side. Hence, if you just have 5-6 days in hand, then traveling from Kinnaur side is out of the question. Hence, you are left with the option of traveling to Spiti Valley in 6 days from Manali side only. It also means that you can only travel when Manali to Kaza road is open, which usually opens up by mid of June and remains open up to October. You can travel on Manali – Kaza road up to mid of October after which it becomes quite cold, windy and risky to drive or ride on it. Please also note that while traveling from Manali side, you have to take risk of AMS issues as altitude increases abruptly and also have to take permit to cross Rohtang Pass 😉 … I have covered these topics in detail in the articles 5 Reasons to Travel Spiti Valley from Manali Route and 5 Reasons to Travel Spiti Valley from Shimla – Kinnaur Route. The below-mentioned plan does not cover everything in Spiti Valley but touches important places so that you can make the best use of limited time. In case you only have 5 days in hand, you should better off restrict your trip to Chandratal only (refer Chandratal Lake – Most Common Itinerary). There may be some headache or AMS this night, but enjoy this magical drive over Kunzum Pass to enter the middle land called Spiti Valley. 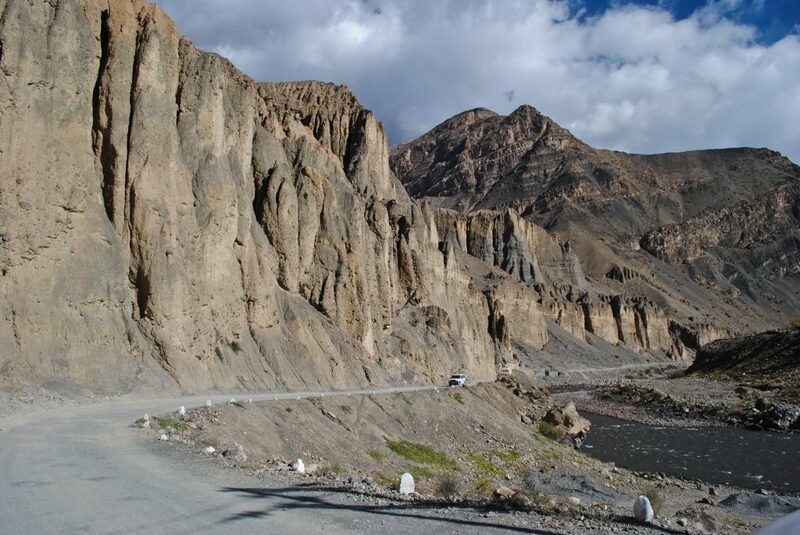 You will enjoy the drive to Kaza greatly. 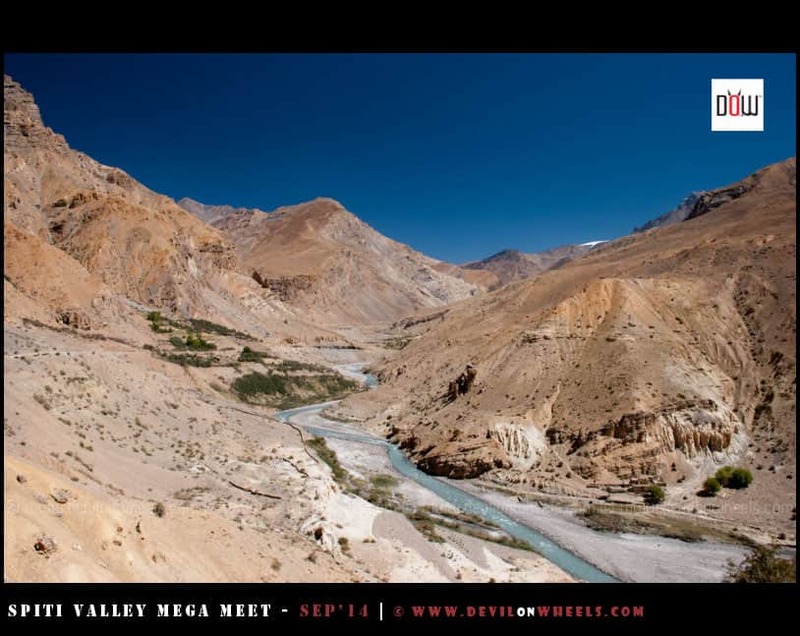 Planning a trip to Spiti Valley in 6 days? Camps are about 2 KMs from the lake, either stay there or back to Batal where there is a PWD rest house now though without electricity. But, no point going back a painful ride to Losar over Kunzum Pass unless you want to stay in the guest house with electricity. Better stay at Batal and save time as well as energy for next day. As you can see in this article, if you travel to Spiti from Manali side, the in 6 days you will be able to make a successful trip to Spiti Valley in 6 days. Anything less than 6 days for a trip to this remote part of Himachal Pradesh is not ideal in my honest opinion. 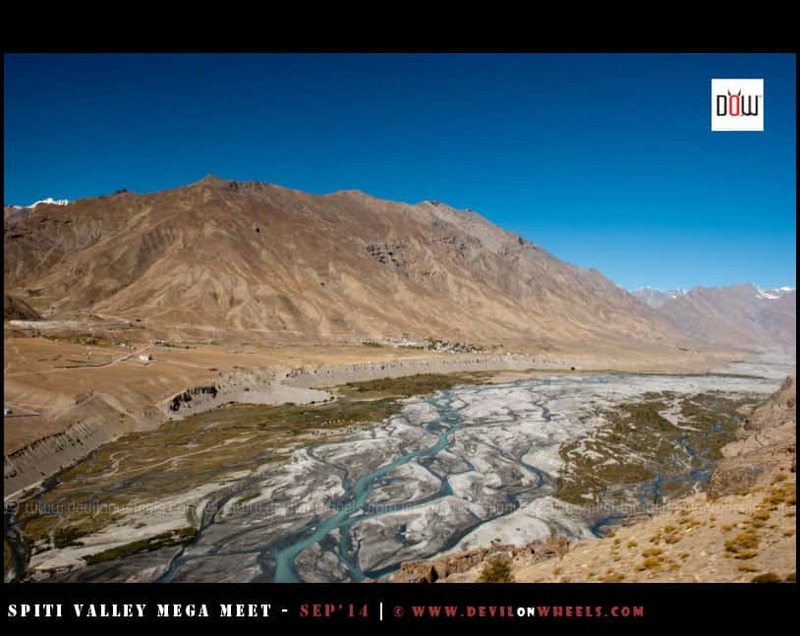 Hence, you can see that you can make a trip to Spiti Valley in 5 days. It is just that it will be a bit hectic. Or you can follow the itinerary for Spiti Valley n 6 days mentioned in this article and on Day 5 start early from Chandratal to reach Manali and get an overnight HPTDC Volvo back to Delhi on Day 6 early morning. I hope this plan or itinerary for a trip to Spiti Valley in 6 days will be useful for travelers planning their short journey to this place. Feel free to share it with your family & friends who are looking out for a short trip to Spiti Valley in this coming season. In case you have any questions or doubts, in planning your trip to Spiti Valley, please post them in the comments section of this article. If you know your friends or family are planning a trip to Spiti in 6 days, do share this article with them to help them make a memorable Spiti Valley trip. I am planning to go for a solo ride from Delhi to Spiti valley from 14th October’17 to 21st october’17 in public service buses. Can you guide me to plan a trip? Very helpful info indeed! I am planning to follow similar itinerary going to Kaza-Chandratal from Manali route in last week of Sep, 1st week of Oct. Is it suitable time to travel? Will the Rohtang Pass, Kunzum Pass be open? Pls suggest. Sarita, now a days it is fine to travel to Spiti Valley even in the first week of October. Though keep in mind that snowfall may occur and it will be cold especially the wind. I am planning 7-8 day max trip to Spiti. I prefer to enter via Narkanda from Chandigarh and complete the circuit via Manali, Shimla. Apart from visiting Spiti, I need to visit ans spent time in the monasteries (Tabo and key mainly )as a part of my study. But, i don’t want to miss out the whole experience of Spiti. 1. Is it safe for a female solo backpacker? You just have 7-8 days in which you will just be able to complete the circuit barely and with public transport it will be tough to manage as well. We are going to Delhi-Shimla-Sarahan-Sangla-Chitkul-Kalpa-Nako-Kaza-Chandratal-Manali from 24th June to 1July 2017. Would like to know the road and weather condition. Is there any precaution we need to take? Aish, road conditions are in general OK as they used to be. Kinnaur Valley has average to bad, bumpy roads, once you enter Spiti Valley you will have average bumpy roads mostly and then Kaza to Manali especially up to Rohtang Pass will be quite challenging. I am reading in various blogs that roads are blocked near Sarahan and some road constructions work going near Tabo. Do we need to take any precauation or shift our plan by couple of weeks? Also we are going in Swift Dzire. Do you think that can cause some problem? Well, Swift Dzire will surely gonna take a beating especially in the under belly. Iin case you reach late in afternoon, some water crossings on Rohtang Pass – Gramphu – Kunzum Pass – Kaza road may not be even possible to cross it. Only take that car in case you are experienced with driving in such bad road conditions else better avoid it. Well, such road blocks are common and run all year long. You just have to try your luck. Kinnaur has a very fragile set of mountains due to digging by man into them, they are always vulnerable for landslides and road blocks. Delhi to Shimla, Narkanda, Rampur, there is no problem. Little difficulties starts from Sarahan to Chitkul, but manageable. While going from Kalpa to Nako, road conditions are very bad due to Jaypee Power Projects. There could also be landslides between Nako and Tabo. After Kaza to Lossar and Lossar to Manali road conditions are worst. You can barely drive up to 20km/ hr. Leave as early as you can from Kaza or Lossar if you want to reach Manali by evening. We are a bunch of guys planning to visit Spiti in the month of AUG (Probably the 15th AUG week). We have a total of 7 days in hand. We all will be travelling from Kolkata and will start our journey from Manali/Shimla whatever we find suitable for us. Requesting you to please advice on the route which we should opt for, which all placess we should visit. Thanks for your prompt response. However I have few other questions/doubts and request you to please advice us on the same. 1) Is there any route from Manali which will take us to Spiti via Rohtang pass? 2) As we are total 3 in number, which vehicle you would suggest will be best for us. If you have any contact, please do share the same. 3) Are the vehicle’s on sharing basis is also available. If yes, from where we can get that details. 4) We want to spend our overnight in chandratal while camping, staying in tents. How can we make this happen. If you have any details, please share the same with us. 2. You should get a taxi. You can get connected directly to some drivers in Himachal or Spiti Valley or Kinnaur Valley at the link: List of Taxi Drivers for Spiti Valley & Kinnaur Valley. These drivers can come and pick you up from Manali / Shimla / Delhi / Chandigarh too, of course with a price of the pickup as well. 3. Local taxis run between Kaza and Manali on sharing basis per seat but they do not stop for any sightseeing or pictures. 4. How many total days do you have in hand? Did you check: How to make a trip to Spiti Valley in 6 days? Good Morning !! Hope you are doing well. First of all , Many thanks for your valuable inputs. We are a bit confused. Can you please share your contact details, we have few questions and I think you are the best person to answer this. I am currently in US, so getting connected over call is difficult. Request you to clear our few doubts. 1) Is it better to plan the trip ourselves or you recommend us to get in touch with any travel agent. What do you suggest? 2) We are interested in staying in camps at Chandertal. Anyone you know who can help us with this. We have contacted various vehicle agent for hiring a cab for our 6-7 days spiti tour. There charges varies from 3500-4000 per day. Don’t you think its too . What can be the reasonable charge according to you. And if you have any suggestion or recommendation, please do let us know. Rishi, in general these are the rates now depending on the number of days they charge. You can get connected directly to some drivers in Himachal or Spiti Valley or Kinnaur Valley at the link: List of Taxi Drivers for Spiti Valley & Kinnaur Valley. These drivers can come and pick you up from Manali / Shimla / Delhi / Chandigarh too, of course with a price of the pickup as well. Am planning a solo bike tour of Spiti Valley, probably in the month of August or September. Is it possible to complete the same within 8 days – Chandigarh to Shimla to Kaza etc etc to Manali to Shimla to Chandigarh. And is it a good time to visit in Aug? Day 3 : Kaza Rest day. May be do Ki, Kibber in the evening. Thanks a lot for the prompt reply. I guess i’ll go with the second option & hire bikes from Manali. Best wishes for the trip Akash !! is it possible to reach Sangla from Shimla in a day September last week? Yes, Sangla to Shimla is possible in one day. I am planning a trip to Spiti Valley from 4th June to 14th June 2017. I plan to complete the circuit Delhi-Shimla-Narkanda-Kaza-Manali. But reading your various threads it seems the road beyond Kaza may not be open for us to complete the circuit. In that case can you suggest an alternate itinerary/travel plan so that we can make the maximum for this Spiti venture. We will be five people traveling in my self driven Innova. Myself, my wife, my two teenaged daughters and my father aged 70 years. And also we will also be taking along our pet dog Leo (Labrador). Can you also tell if the hotels/guest houses enroute will be able to accomodate our pet in their places. It will be better to postpone it by a week in case you want to do the full circuit of Spiti Valley. Else you will have to come back the same route from Shimla – Kinnaur Valley. You can check a very balanced and most common itinerary for Spiti Valley followed by many travellers including me at the link here for 10-11 days: Most Common Itinerary for Spiti Valley. Kindly advice if the itinerary is ok . Or if we are missing out sumthing important. Given the days in hand, it looks doable but as you know will surely take a toll on your body. Sorry sir but m not able to see it. Can u please reply again. Thanks dheeraj sirji. Can you please guide me route to leh from spiti. If it is offroad then it will be good for us. We are planning to start our trip on 2nd June from Mumbai. Thanks dheeraj sir in advance. Rajveer, the road from Kaza to Keylong is not expected to open by mid of June. 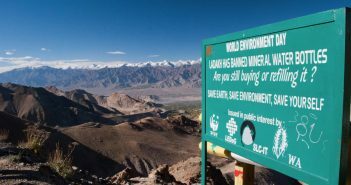 So, second June you cannot take either Manali – Leh highway nor Kaza – Keylong – Leh road. Only option to travel is through Srinagar and situation up there is a bit tense. Thats a bad news…. No any other route from spiti to leh? Dheeraj sir? Rajveer, Spiti to Leh is connected by Kaza – Keylong route only. Dheeraj sir how about 8th June will it be open by that time. Most likely by mid of June. Sure Rajveer, please keep subscribed to these threads. Want to come back to Delhi seeing Spiti Vally. Can be done? Planning to go by Xuv500. but dont want to take more than 10 days in all. Please help and guide return journey! Neha, it will not help with acclimatization. It will take 4 days to reach Leh from Srinagar side starting from Delhi and 3 days to come back from Leh from Manali side to Delhi. This makes it 7 days. 1 Day is required in Leh for acclimatization. You have about 10 days. 1 Day can be used as Day trip to Pangong Tso and other day can be used as day trip to Nubra Valley or just Khardung La pass. 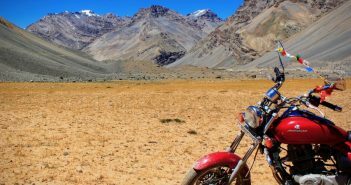 Is there anyway way to travel from Leh to Spiti without going to Manali? Iam looking for a route which can save some time as i have less days. Also is it possible to travel from leh to manali in 1 Day? Hi DHEERAJ can you give me contact numbers of some budget homestays at Sarahan per room 800/- to 1000/- per night oh yes what are the chances of Kaza to Manali on 5th June because we already planned from Shimla to Manali from 3rd June via Kinnaur and Spiti if the road will not open then we have to back again Kalpa ,Jeori,Shoja then Manali or any other route is there.Please give any suggestion. Alok, best is to hunt on the spot in Sarahan or else stay at PWD Rest House Jeori. I am planning to go to the mountains by the 1st or second week of June. here is the plan as of now: leave Mumbai on a friday evening flight to delhi and get an overnight bus to kasol. spend the rest to Saturday and Sunday at kasol. I have monday to friday to ride to spiti, possible camp somewhere great and back to kasol. Is this doable or is it totally stupid. Hey Godwin, well, as per the plan shared in the article above, 5 days from Kasol should be OK to make a trip to Spiti Valley. Please follow the plan as shared in the article. what I really wanted to know was, is it ok to ride a rented bike from kasol all the way to kaza in a day. Also is it a good idea to get my own tent and camp out in spiti. If so, is there a place you would suggest that is perfect for this. also is it possible to include nako lake in the itinerary. Hi Dheeraj, we 4 adukts r planning to visit lahaul spiti in first week of June 17 going from shimla and xominf from manali. Is it ok. Also tell us the budget. We are foinf by balero diesel. We have 8-10 days in hand. I think there are a lot of typos in your message but I understand you plan to make a trip to Spiti Valley in the first week of June. I will recommend that you postpone the trip by two weeks as Manali – Kaza route will open by mid of June only. You can check a very balanced and most common itinerary for Spiti Valley followed by many travellers including me at the link here for 10-11 days: Most Common Itinerary for Spiti Valley. Thanks Dheeraj, plz tell me the approximate budget. We do not want the luxuries. We will prefer the neat and clean homestay. I am looking for a 7 days trip to Spiti valley in 1st week of June 2017. Is it possible for you to please share an appropriate itinerary for the same and also, confirm if the stretch between Kaza & Manali (Via Chandratal) will be oped during that time? Tejas, Kaza to Manali road may not open by mid of June. So, you cannot make a trip to Spiti from Manali side during that time of the year. I am planning to travel via Narkanda Rampur and will come back via rohtang, manali. I will start from delhi on 11th. Is it fine? Anuj, most likely by the time you reach Kaza, the road from Kaza to Manali should get open. Is there any group is going for Spiti? Or is just a iteranory. Please let me know the cost of the trip also let me know if I can join that group for this trip. Neha, you can search for Travel Calendar from the main menu. We do not sell any tour or travel services. People looking out for travel partners post their plans to find online travel partners. Post your entry too. SHUVAJIT, since you are traveling from Chandigarh, any special reason you want to do the trip from Manali side only? Why not enter from Shimla – Kinnaur and exit from Manali? You can check a very balanced and most common itinerary for Spiti Valley followed by many travellers including me at the link here for 10-11 days: Most Common Itinerary for Spiti Valley. Hi Dheeraj, you are doing an incredible work. Thank you for your initiative and posts. We are planning to go until Kaza and Key Monastery next week (7th-12th May) through Kinnaur from Shimla. Do you think these routes are clear? We are aware that Rohtang Pass isn’t open yet. So, we will return from the same route. Please suggest. Yeah Shimla – Kinnaur – Kaza route was cleared a week back of landslide. It takes three days to reach Kaza from Delhi and thre days to come back. I hope you are OK with being on road only for 6 days. Thank you very much for the information Dheeraj. Ya, travel is fine for us. Cool, best wishes for the trip !! 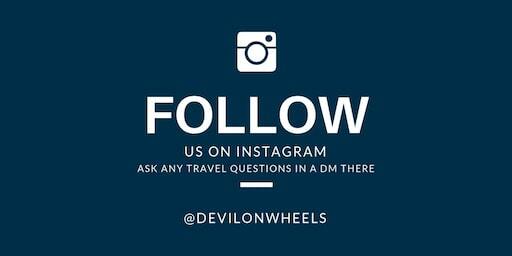 Feel free to post any further questions you may have for your trip. In this you have listed out itenary for those who are driving to spiti. It would be a great help if you share the link if already written or post a peice for those who would travel using public transport. The travel time shown on Google from Manali to Spiti is approx 5 hrs, but I can see you have mentioned 10-11 hrs? I am travelling to manali via Car this weekend and planning to visit spiti for a day . Neha, Google maps, and roads in the Himalayas do not go hand in hand 😉 … There may be multiple challenges, water crossings, landslides, other cars stuck in between and of course bad roads. You will feel for about 60-80 KMs, as if, you are driving on river bed.